Our Deluxe Tote it's the perfect "go anywhere bag". Make it your go to beach, diaper or gym bag or your everyday purse. It comes with two handles, an over the shoulder, and cross body strap. You have seven (7) amazing colors to chose from! 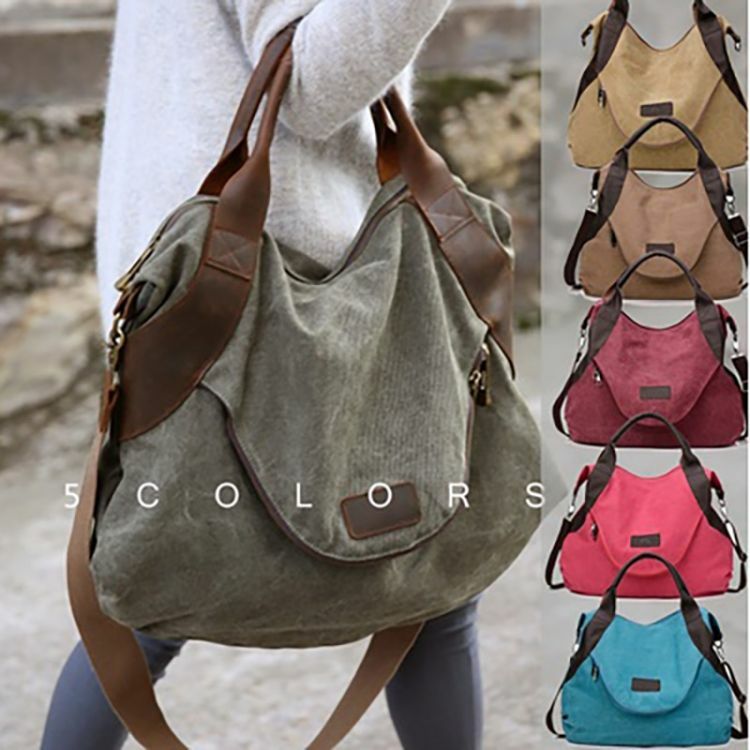 Our amazing Deluxe Tote is made of high quality canvas and leather straps. it fits folders and notebooks with room to spare. you could even fit the laptop if needed. Pockets are nicely placed and fits pens, phones, and keys appropriately. It makes a great gift for your friends, loved ones and even for yourself.